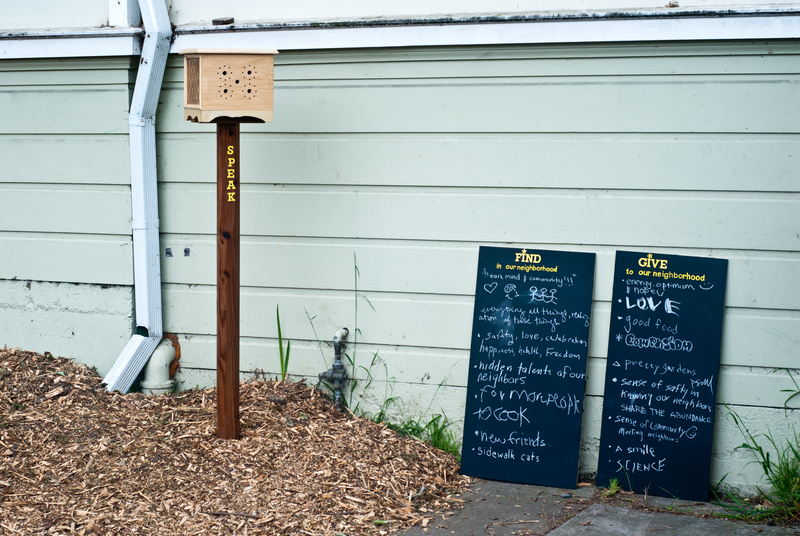 The speaker box was designed for attendees to talk about what they wanted to see in the neighborhood. The boards invited neighbors to write what they wanted to give and find in the neighborhood. 07 Sep	Published at 3824 × 2560 in The Takeout Window. Bookmark the permalink. Follow any comments here with the RSS feed for this post.